Here are some progress photo of this porch conversion. This 3 season room project was completed a few years ago and we are now changing the space into a finished living space. New windows installed and we are ready for sheet-rock. 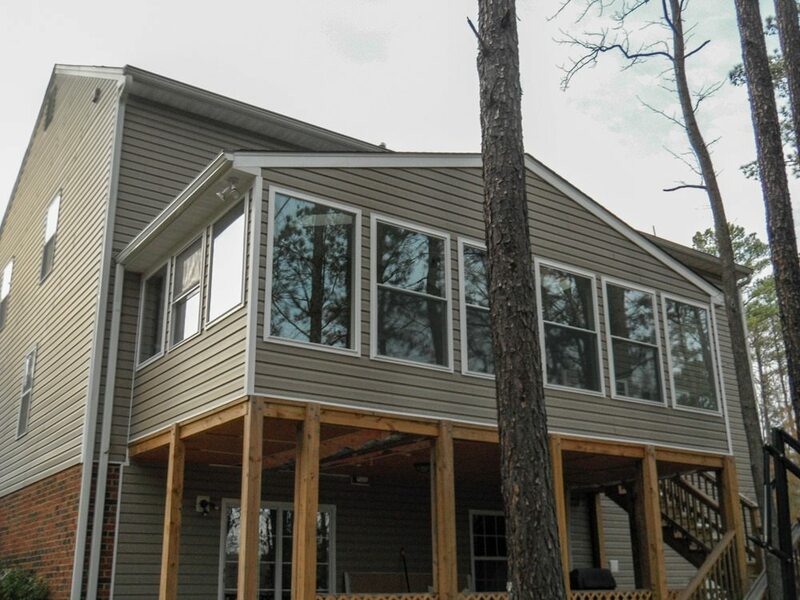 Adding new construction windows, removing vinyl siding, alter existing framing and adding HVAC ducts to this porch are part of what we are doing on this project. 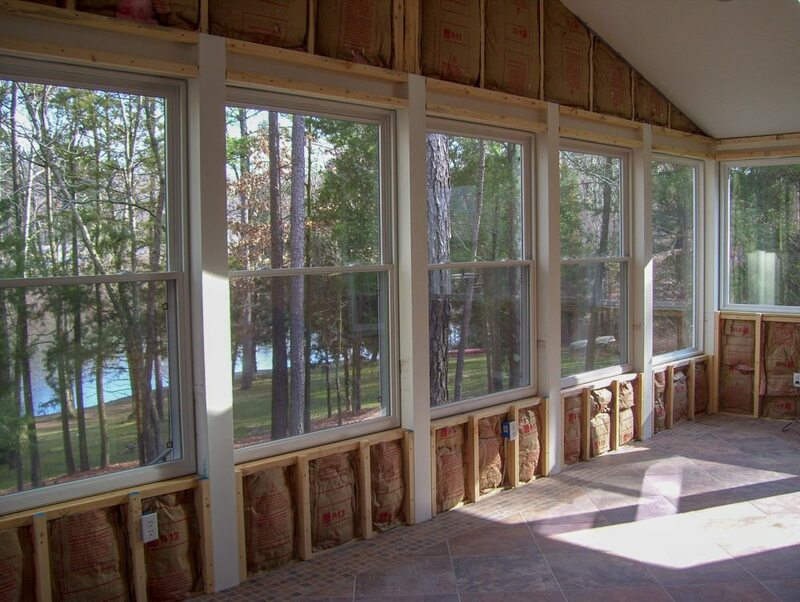 During the 1st project we knew that we were going to convert the space into a continuation of the home so we installed insulation and other modifications that would make this phase less costly.